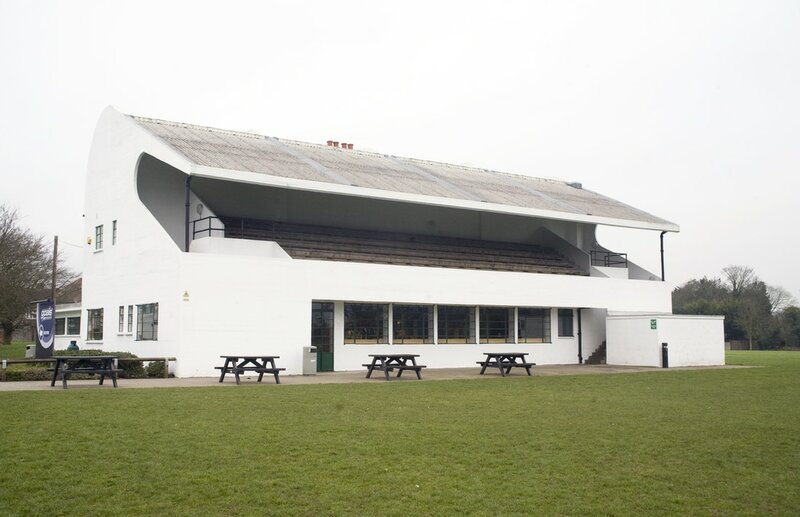 Notes: Grandstand built for University College School Old boys Club in Isleworth. The design by Stutcliffe & Farmer features a curved cantilevered roof. The site is now a 5-a-side football centre.